Mark Devereux Projects and University of Salford are proud to announce artist Darren Nixon has been awarded the inaugural StudioBook commission 2015/16 for his proposed work The Awkward Ambassador. The Awkward Ambassador will respond to the notion of how a work of art assumes a restless existence as it finds itself in a public art collection and required to take on different personas. The Intern, The Mixer and finally The Awkward Ambassador will each portray the work’s shifting relationship with its surroundings, whether in the University’s art stores, within the campus or when sent out on loan to represent its owner. 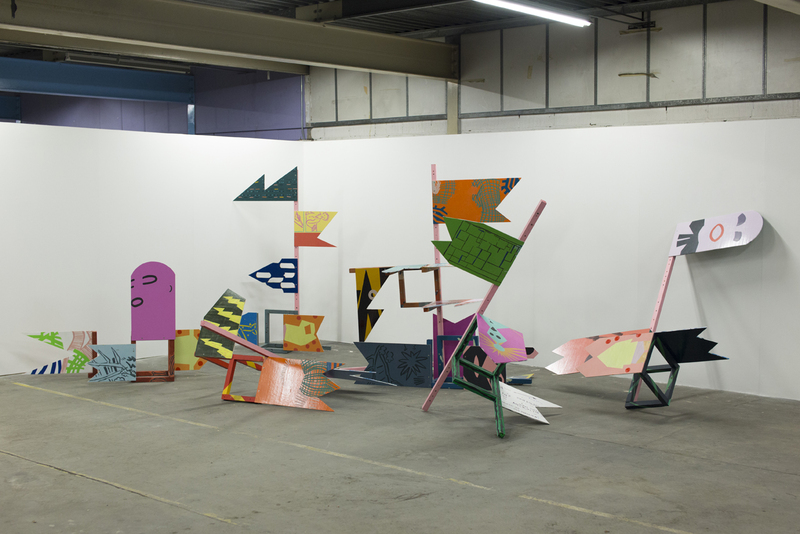 As part of Mark Devereux Projects’ new StudioBook artist development programme, the award has been provided, co-selected and acquired by University of Salford Art Collection. This new award showcases the two organisations’ collective ambitions to nurture some of the best emerging talent in the UK. The commission is part of Mark Devereux Projects’ inaugural StudioBook artist development programme funded by Arts Council England. Eleven artists from throughout the UK were selected to take part in the five-month programme, which started in November 2015 with an intensive 6-day course of talks, seminars, workshops and advice sessions led by over twenty speakers from around the country. Each of the eleven artists was then invited to propose new work for consideration for the commission. The Awkward Ambassador will be showcased to the public for the first time on Friday 4 March (6-8pm) at ArtWork Atelier, Salford. The first incarnation of the work will be shown alongside existing works by each of the eleven StudioBook artists in an exhibition signalling the end of the five-month programme. Each of the artists will give public talks about their practices and inspiration the following day on Saturday 5 March (11am-4pm). Further information about the launch of The Awkward Ambassador and the StudioBook exhibition will be announced shortly.